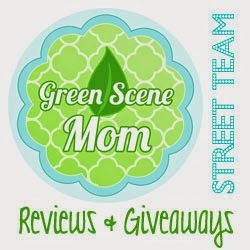 Trying To Go Green: Funky Fluff Bamboo 3 in 1 Diaper Review & Giveaway US & CANADA! 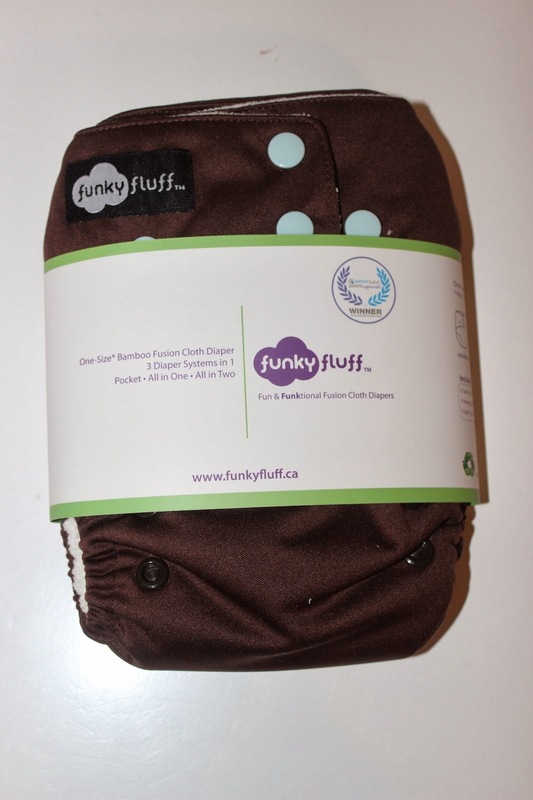 Funky Fluff Bamboo 3 in 1 Diaper Review & Giveaway US & CANADA! I love cloth diapers and I also love finding new brands. I was excited to try out Funky Fluff's New Bamboo diaper! When I first received this diaper we had a horrible cause of yeast so i couldn't try it for a long while but that gave me extra time to get it all prepped correctly. Here is the diaper I received. I choose the color brown and blue and it retails for $20.58. At first glance I love these colors they are my favorite combination! FUNKY FLUFF Bamboo diapers were designed for parents who want incredible absorbency and natural fibers against their baby’s skin. Bamboo is very sustainable and environmentally friendly. Its crop grows quickly and requires little maintenance. Fabrics made from bamboo are especially soft and have great ventilation. They keep babies comfortable and cool. Bamboo is also one of the most absorbent fabrics available for cloth diapers. Bamboo 3 in 1 System: Pocket, All in One, All in Two. Use it any way you like it. 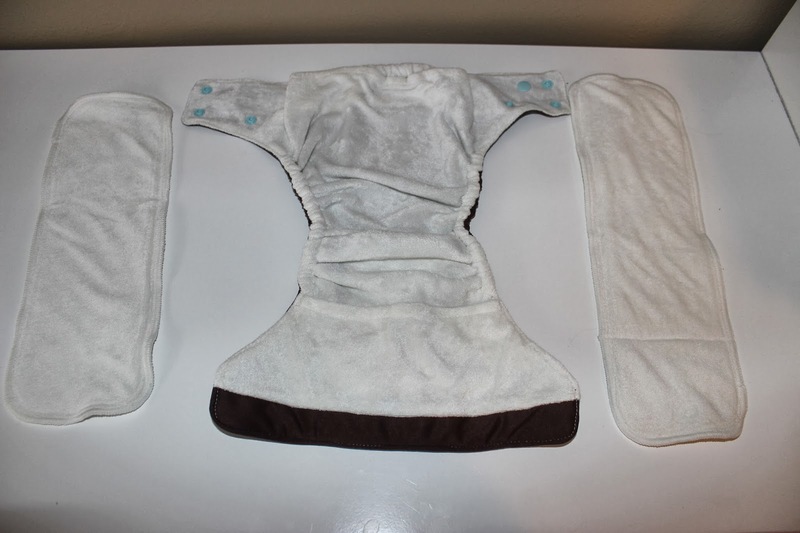 Cross over snaps give a great newborn fit and also function as a tidy storage option for soiled diapers on the go. Roll it up and snap closed until wash day. Diaper lining consists of bamboo terry material made from 80% bamboo viscose and 20% polyester. Each FUNKY FLUFF diaper comes with 2 unique soakers! FUNKY FLUFF soakers have the ability to agitate out in the wash on their own (when snapped at one end of the diaper) eliminating pulling out soiled soakers by hand. No more touching wet and dirty soakers! 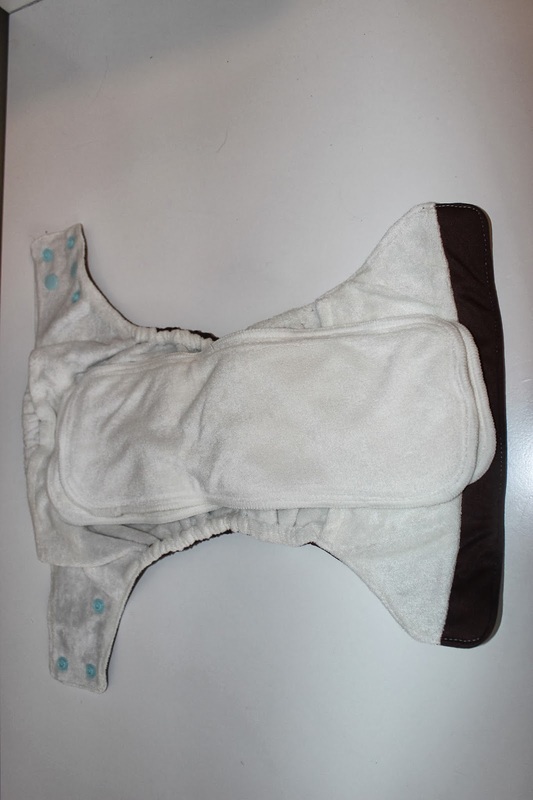 The soakers may also stay attached to the diaper while in the wash (although at times they do separate from the shell). You’ll spend less time sorting laundry with this feature. The inserts are super soft and this diaper has worked out great for us. I always use both of the inserts in the diaper and it has even lasted us thru nap times. Here is how it looks on. The baby is 18lbs and this is a great setting for him. 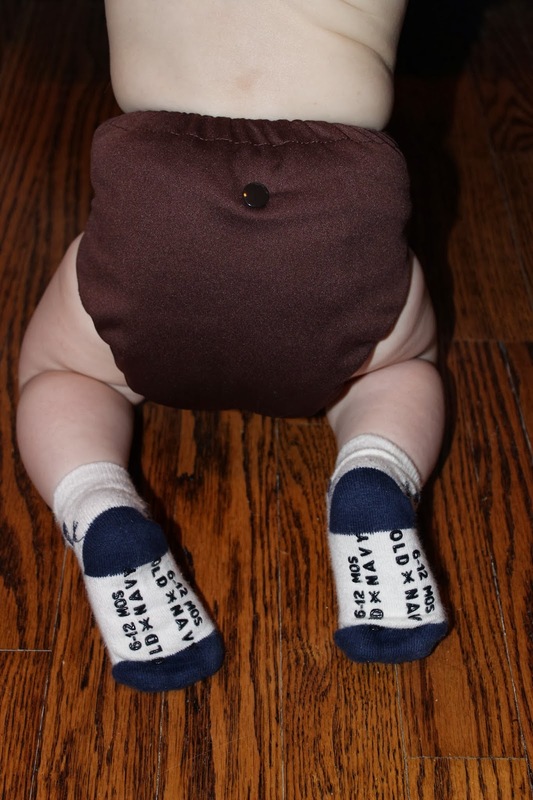 You could use this on smaller babies and it looks so cute. Lets not forget a backside shot. 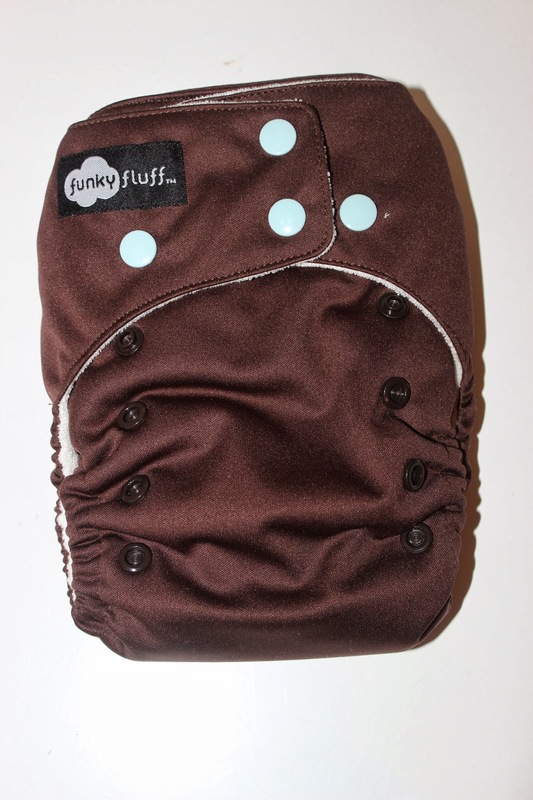 One lucky TTGG follower will be winning one of Funky Fluff's bamboo diapers in the color of their choice! I would buy the Teal-Lime color, love the combination. Either the Green & Purple or the Orange & Turquoise - love those! I love the Orange & Turquoise combo! I would choose the orange and turquoise! I just love their bright colors... my favorite is the Teal & Lime combo. I would choose green and purple! I would choose Grey and Blue or Pink and Grey! Hard decisions!! I'd probably choose grey with blue. I would choose the Teal & Lime. teal & lime is my fave. I'd like to get black and silver. I would choose the bright pink! I like the pink and gray! I would choose the Black and Silver! I LOVE the blue and gray and brown and blue! Those are my favorites! I would love the brown, it's nice and gender neutral! I would choose purple and green. I would choose Teal & Lime! I'd get Orange & Turquoise. I love the color combos! I think I would choose teal and lime. I would pick the Bubbles pattern, it is so adorable!! Grey and blue :) !! I would choose the birds! I would choose Blue & Silver! I'd choose purple and green! Shared on facebook as Claire Dionne. I love the Orange and turquoise, bright bright bright! I would choose the green with purple snaps. I would like the brown and blue diaper if you please. I would choose bubbles. It's fairly gender neutral and would be great either either my boy or girl twin. Since I'm not trying to win for me, but for my sister who has twins... I think I would choose the birds print. I would choose Grey & Blue! I really like that brown in the pictures. Perfect for my little boy! Shared om facebook as Claire Dionne. I would choose the teal and lime color. I like teal and lime. I love the teal one and the grey one!